It’s the night before your trip. Are you spending the hours you could be catching some zzz’s stressing over how to pack everything you need? Do you roll, fold or just throw it all into a ball and hope for the best? Relax! We put together a list of tips to help you efficiently use every inch of your bag. So, sit back (you’re already relaxed, remember? ), and let us help you navigate the complex world of packing like a pro. This is an actual tip, not just style advice (or, maybe a little of both). If you get a jacket that packs into a little bag or folds into itself, you can cut down on the huge amount of space outerwear usually occupies. Now, it’s just a little pouch you can put into the corner of your suitcase or hang on the outside of your duffle. Or better yet, if it’s a packable puffer, it doubles as a pillow. Your shoes already take up so much space. Make the most of this valuable real estate by stuffing socks (and other soft items) into them. This is sometimes referred to as “nesting”. Pack as many socks that will fit and then cover your shoes with a dust bag (every pair of shoes we send comes with one, score!) to protect your clothes. Since there’s still a debate on whether you should roll or fold your clothes (or opt for a combo of both), for now, we’ll just keep it short and tell you why we think rolling wins when it comes to denim and pants. Once rolled, they’re in compact mode and can be shoved into any available space in your luggage. Rolling also decreases the chance of wrinkles, gives you better visibility and, let’s face it, is just easier than folding. This method is the most surprising of them all because it’s unexpected. First, lay your blazer on a flat surface; next, pop each shoulder inside out; then, fold it in half so the lapels touch; and finally, fold two more times until you have a perfect-ish square (every blazer is different, so if it resembles a square/rectangle, it’s close enough). Unpack it, pop the shoulders back out, give it a shake and you’re good to go. It’s time to stop, drop and roll…or fold. When it comes to which method ranks the highest, we’ve pulled together a general consensus on the highs and lows of each. There are endless reasons why people stick with each method. Our thoughts? Do both! Fold some clothes and then roll and stuff the rest into any gaps. Problem solved, everyone’s happy. You’re all set to get out of town (beach, anyone?) and equipped with the know-how on packing, but now the questions looms—what should you pack? 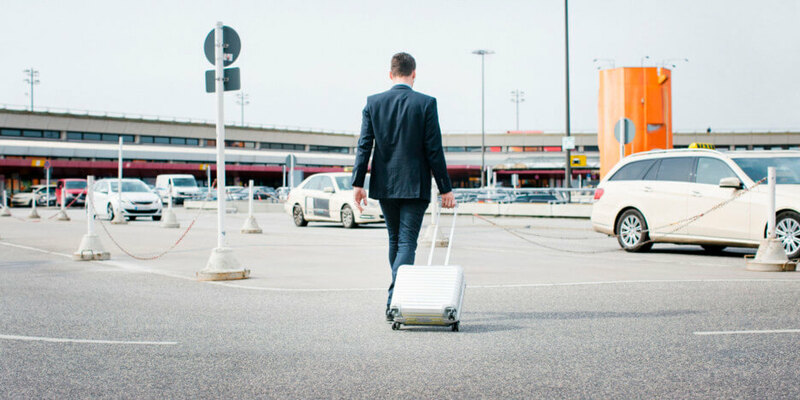 Traveling with just a carry-on is immensely freeing (no waiting around for your luggage—or worrying that it’ll be lost and never found). Blazers are insanely versatile. Aside from keeping you warm in air-conditioned restaurants or outdoor cafes at night, it can be the perfect piece to pull your look together. 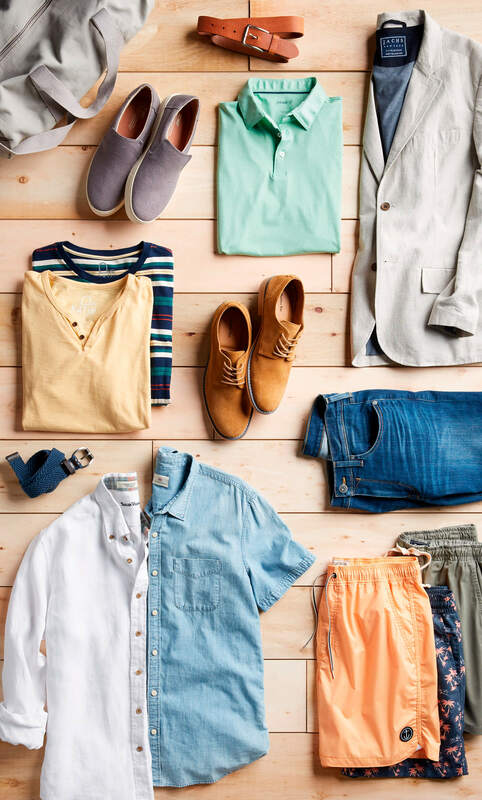 Decide what colors go best with the wardrobe you’re bringing. Gray and navy are the safest bets and go well with almost everything while brown and tan require a bit more color coordination. If you’re bringing just one pair, go for dark-washed denim (leave your favorite ripped, torn, distressed, or otherwise well-loved favorites at home). Jeans can be worn in almost any situation, are comfortable and match everything. Dress them up with a blazer and button-down or go casual with a classic white tee. With athleisure on the rise, you now have way more options to choose from that look great and are functional. Choose high-tech fabrics that breathe well, wick moisture from your skin and dry quickly. You’ll be set for those long days of exploring or plans to hike, bike or hit the gym during your trip. T-shirts, shorts and socks that are easy to wash and hang to air dry are ideal. Shoes take up a lot of space and tend to be heavy, so less is more. Limit yourself to a pair of comfortable yet good-looking sneakers for walking (remember that athleisure look?) and on-the-go leather loafers. Hittin’ the beach? Trusty flip flops or boat shoes make relaxing easy. As far as color goes, think neutrals and shades that complement each other, like navy and brown. There are those hero styles that balance casual and dressy. Roll up or fold a few button-down shirts, polos and tees that you can mix and match all week long. Focus on black and gray hues, and build the rest of your wardrobe around them. With a little creativity, you should be able to create a ton of outfits with just a few pieces that go a long way. Ready to test your packing skills? Ask your Stylist for a packable puffer, a blazer and more vacation-ready styles in your next Fix.